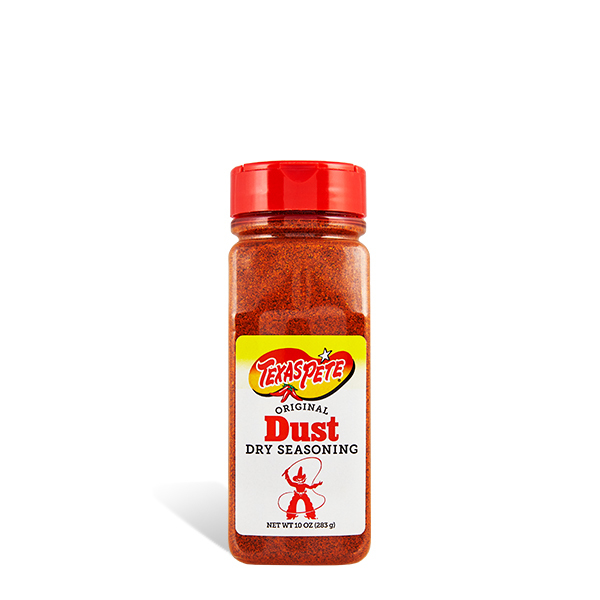 Texas Pete® Dust matches the flavor of our original hot sauce. 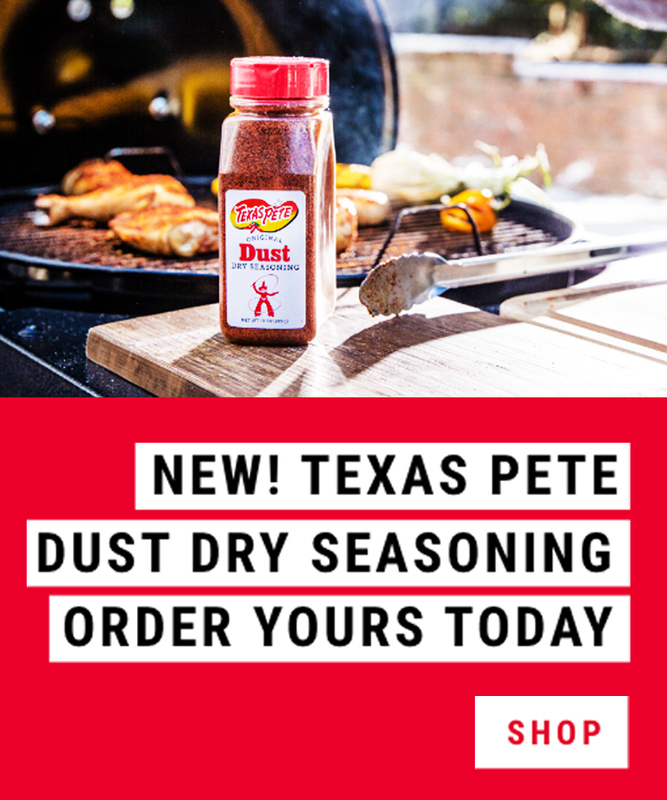 Whether you’re looking for a dry rub for your ribs, or just want the sizzle without the sauce, Texas Pete Dust packs the perfect amount of heat. Salt, Sugar, Spices, Paprika (Color), Maltodextrin, Citric Acid, Hot Sauce (Aged Cayenne Red Peppers, Vinegar, Salt, Garlic), Natural and Artificial Flavors, Contains 2% or less of: White Distilled Vinegar, Safflower and/or Sunflower Oil (processing aid), Silicon Dioxide (processing aid).